Hi everyone! So today you are in for a treat! 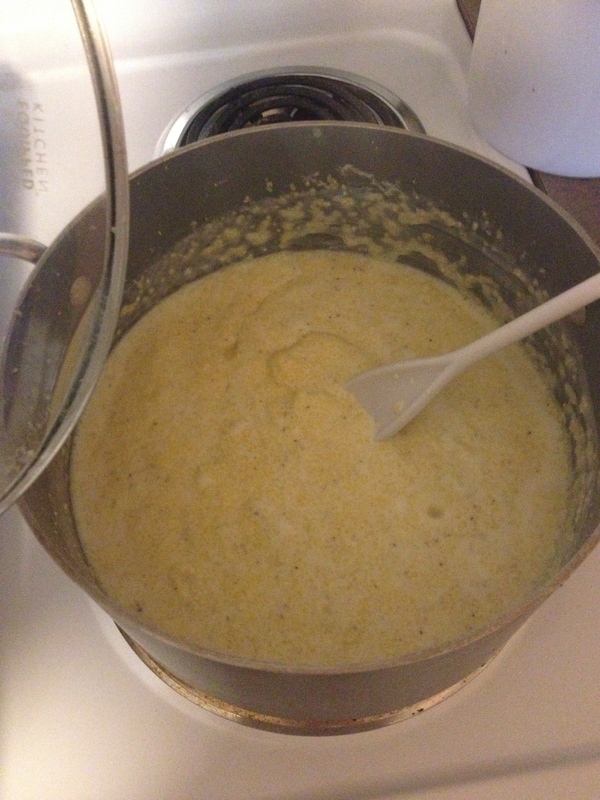 My roommate Annie volunteered to do a guest post for Cooking Between Classes – and trust me the following recipes are to die for! ANNIE: Hi y’all!! I’m so excited to do a guest post on Paula’s blog. I always think I want to make a blog and become, like, the greatest blogger ever, but the fact that I have yet to follow through to even make one is a sure sign that maybe I should stick to one-time blog appearances like this one. Anyway, Lauren’s husband was making Carolina-style pulled pork, so I offered to bring one of my all time favorite foods and a southern classic—cheese grits—to accompany it. Good grits are hard to come by in DC grocery stores (Whole Foods only offers “Polenta [also known as Grits].” Not willing to compromise on quality, I found what I consider to be the real McCoy—Palmetto Farms Yellow Corn Stone Ground Grits— on Amazon, and they were here 2 days later. The grits were a hit at our party, and I made them again for Paula and our other roommates Gaby and Gabi. If nothing else, they are the epitome of comfort food. BONUS: they’re super easy to make. 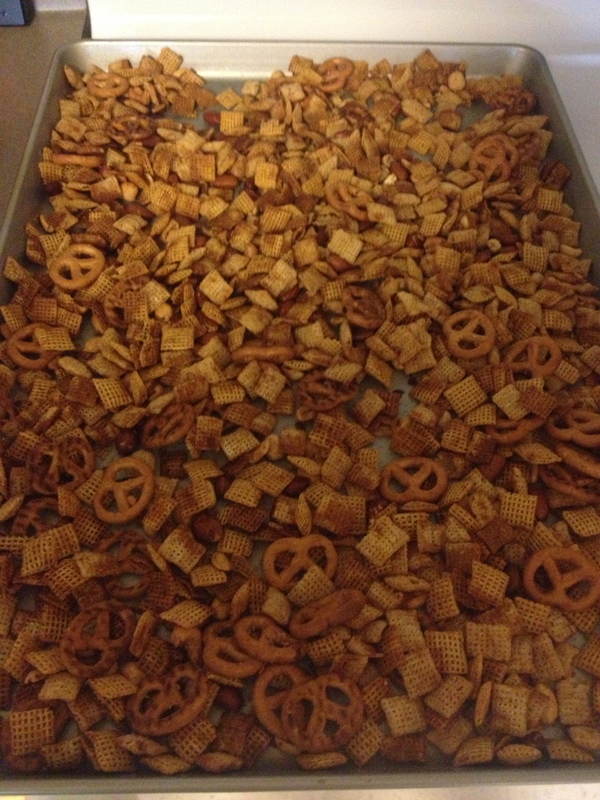 I also made home made chex mix yesterday, another southern holiday tradition, and am including that recipe as well! 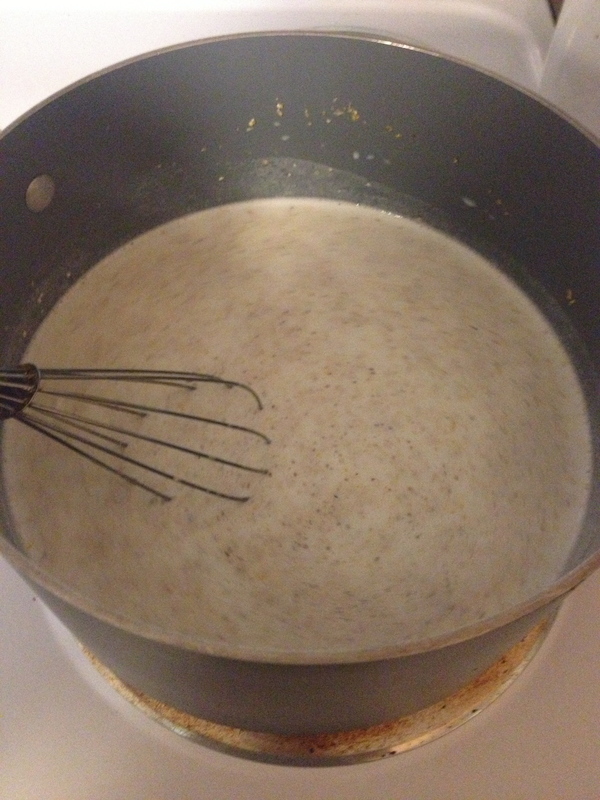 Step 2: After the mixture has reached a rolling boil, reduce to a simmer (low heat) and cover the pot with a lid. Let it cook for 6-8 minutes or until done. It should still be bubbling as it simmers, so watch it closely and stir it around every couple of minutes. You’ll know it is done when it has reached the consistency of mashed potatoes or oatmeal. Step 3: Remove from heat. 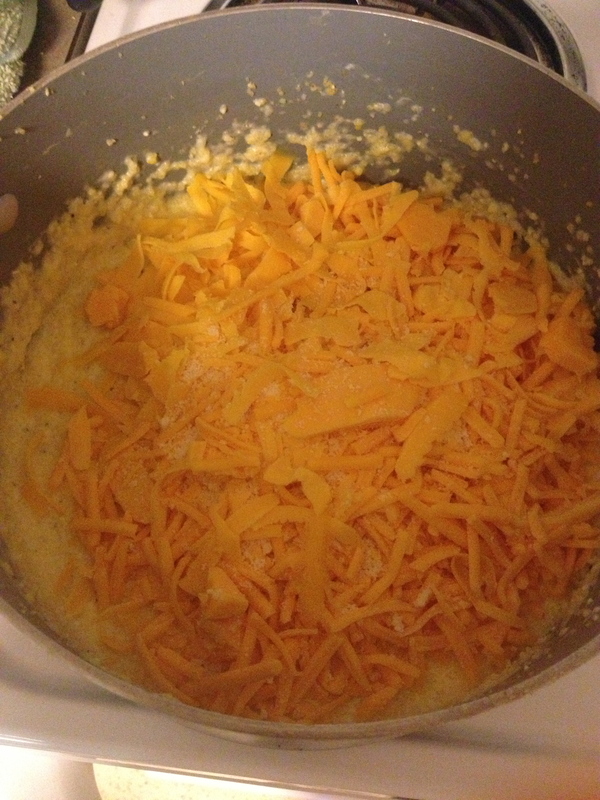 Stir in the egg, cheddar cheese, half of the Parmesan cheese, salt and pepper. Pour the mixture into a large baking dish (I used a 9×13 glass Pyrex dish, but a large stockpot or a cake/pie tin works too). Sprinkle with the remaining Parmesan cheese. Step 4: Bake at 350 uncovered for 30-40 minutes or until the top turns a golden/light brown color. Never heard of grits? They’re very similar to Polenta. I like to eat them with eggs and bacon at breakfast, or with roasted chicken and sautéed spinach at dinner. They also paired really well with Matt’s pulled pork yesterday and are a great alternative to mac and cheese. If nothing else, grits are comfort food at its finest. Step 1: Preheat oven to 250. 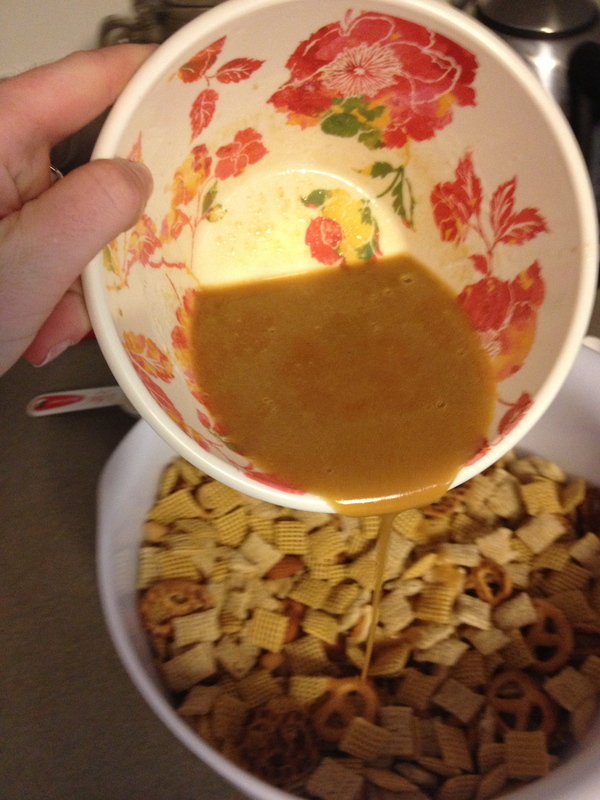 In a large bowl, mix the cereals, pretzels, and nuts. 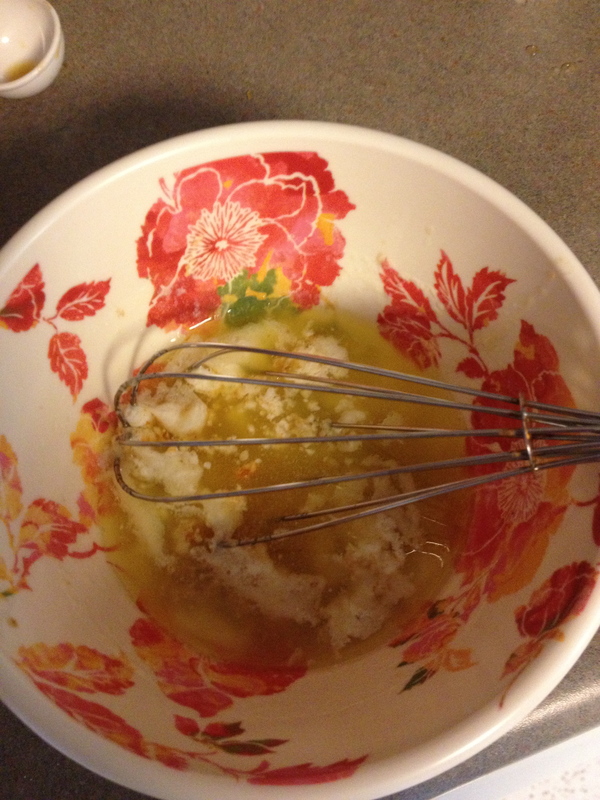 Step 2: Heat the butter in the microwave until it has completely melted. 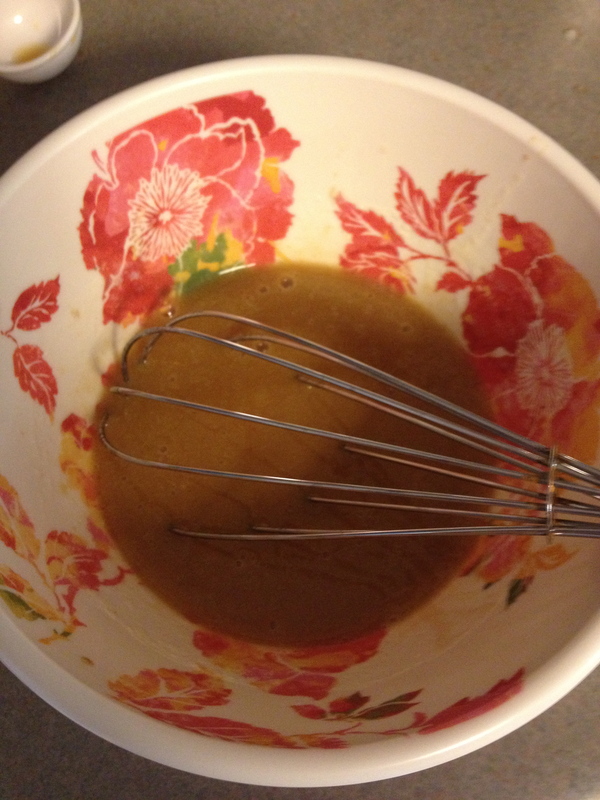 Whisk in the Worcestershire sauce, orange juice, seasoned salt, garlic powder, and onion powder. 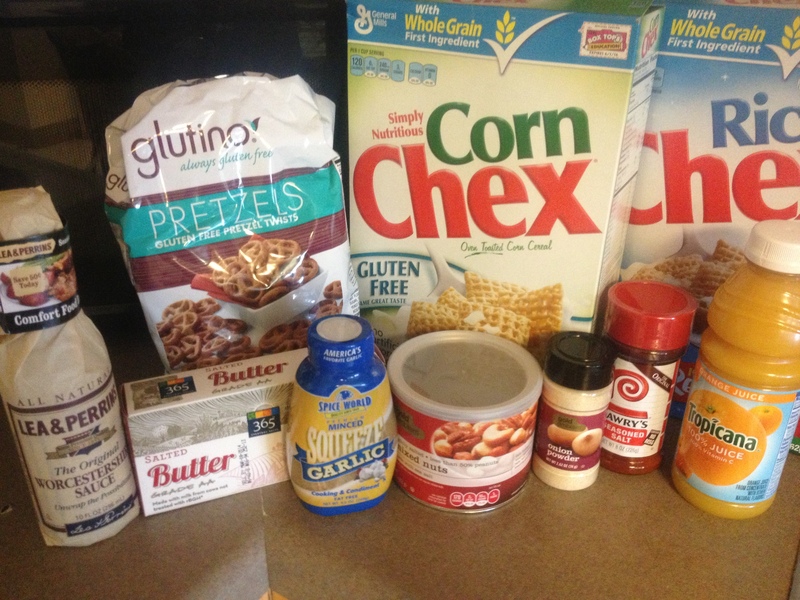 Step 3: Pour the butter and seasoning mix over the cereal mix, stir so that the entire mixture is coated evenly. Spread the mixture pour on a large roasting pan or cookie sheet. Step 4: Bake for about an hour, stirring every 15 minutes. Let cool for 10 minutes before serving, store in an airtight container. 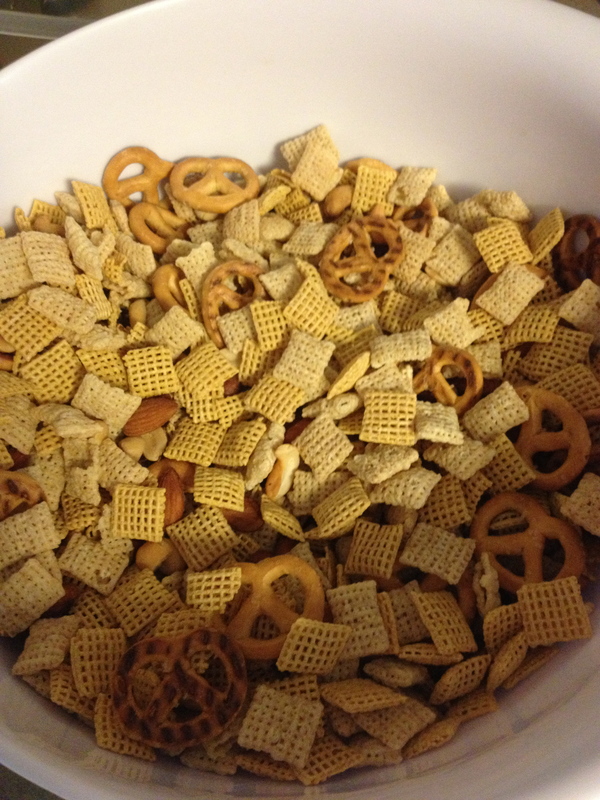 WARNING: you’ll never be able to eat the bagged chex mix again! Told you guys that you were in for a treat! These are really simple recipes and they are absolutely delicious!! 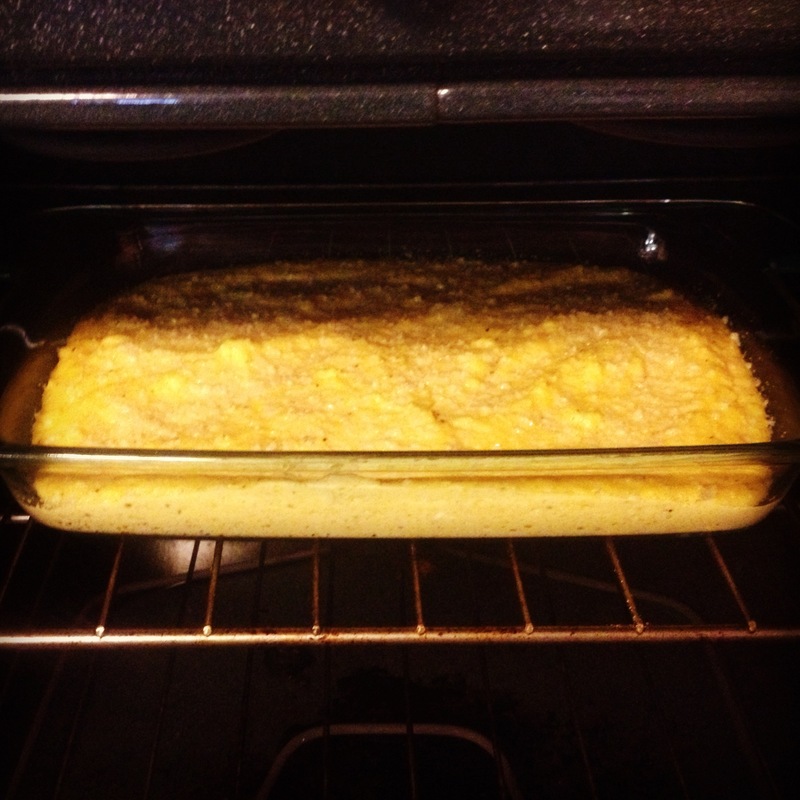 Let me know if his post inspired you guys to learn how to make some southern comfort food! Also, let me know if you enjoyed the guest post! I have other friends that have been wanting to share their recipes as well!